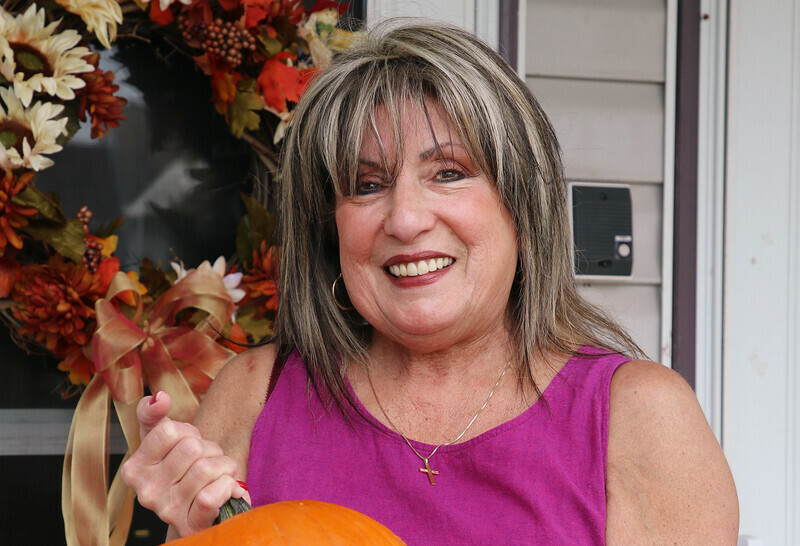 Josephine Serino resumed her daily life after Southside Hospital uncovered a misdiagnosis and performed a carotid endarterectomy to remove dangerous plaque in her arteries. Josephine Serino of Patchogue was growing concerned when she began suddenly losing her vision for periods of five to 10 minutes. She sought treatment from a non-Northwell Health physician, who diagnosed her as having ocular migraines. But after feeling dizzy and losing her balance on Easter Sunday, Ms. Serino decided it was time for a second opinion and admitted herself to Southside Hospital. In Southside’s Intensive Care Unit (ICU), Ms. Serino was cared for by Justin Thomas, MD. Concerned about her vision loss, Dr. Thomas referred her to Andrew Rogove, MD, PhD, stroke director at the hospital, for further evaluation. By that time, Ms. Serino had completely lost vision in her right eye. Dr. Rogove sent Ms. Serino for a computed tomography (CT) angiogram, which revealed a large piece of plaque “floating” in her carotid artery. He urgently called Ms. Serino after hours, insisting that she be readmitted to the hospital. “If this plaque had broken off it could have traveled to her brain and caused a catastrophic stroke,” said Dr. Rogove. This inspiring story appeared in Look North, a health and wellness magazine from Southside Hospital. A mini stroke, or transient ischemic attack (TIA), occurs when there is a temporary lack of adequate blood supply to the brain caused by a blood clot forming in a blood vessel. “If the blockage breaks up on its own early enough, then a stroke is avoided, but stroke-like symptoms occur for a brief period of time,” said Dr. Rogove. Luckily for Ms. Serino, a mini stroke doesn’t result in permanent damage to the brain, as blood supply is resumed before that can happen. Still, she would need surgery quickly. Dr. Rogove enlisted the help of a vascular surgeon colleague, Luis Davilla-Santini, MD, who performed a carotid endarterectomy to remove the dangerous plaque. Ms. Serino is now back to her everyday life and enjoys going shopping. To make an appointment with a Southside Hospital neurologist, call (844) 56-NEURO. Time: call EMS/911 quickly to get help. Every minute delayed can cause the death of 1.9 million brain cells. Other symptoms of stroke are sudden numbness of one side of the body, sudden onset of the most severe headache of your life and sudden and severe dizziness.